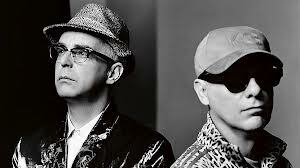 Yes, former Smash Hits Deputy Editor Neil Tennant and “his grumpy friend” (as NEW ORDER’s Bernard Sumner once referred to Chris Lowe) have had their imperial phase with their stellar first albums ‘Please’, ‘Actually’, ‘Introspective’, ‘Behaviour’ and ‘Very’ while also heading “down the dumper” with the Britpop flavoured ‘Release’. Their most recent long player, the Xenomania produced ‘Yes’ was a return to form of sorts after the below expectations ‘Fundamental’ but struggled with repeated plays. However, the accompanying ‘Pandemonium’ world tour was a triumph and a tremendously entertaining spectacle. Indeed, PET SHOP BOYS changed perceptions of how live shows could be presented back in 1991 with the ‘Performance’ tour…costume theatricals, pre-programmed backing, no musicians on stage, backing singers doing lead vocals while Neil Tennant took a breather and Chris Lowe participating as one of the dancers! Rock purists got upset but everyone else loved it and followed suit. With their appearance at the London Olympics 2012 Closing Ceremony, PET SHOP BOYS are now firmly part of British musical folklore, a consulate representation to the world of not only what it is to be British but particularly, to be English. 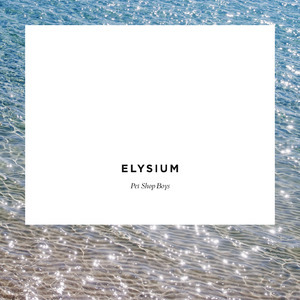 So what of the new long player ‘Elysium’? Co-produced in Los Angeles by Andrew Dawson who worked with KANYE WEST, it certainly isn’t the popfest that ‘Yes’ was. It perhaps is more closely related to the introspection of ‘Release’ or possibly ‘Behaviour’. Opener and second single ‘Leaving’ is beautifully laid back, a classic PSB beat ballad in the vein of ‘The Samurai In Autumn’ but with a Californian sun kissed vibe. The album’s Olympic themed first single ‘Winner’ though certainly doesn’t capture the thrill one would expect from the title… it’s ‘I Get Along’ without the guitars! The album’s tempo remains steadfast and doesn’t up until a third of the way through with ‘A Face Like That’ before it all slows down again with an acoustic guitar providing the backbone to the string laden ‘Breathing Space’. No PET SHOP BOYS album though would be complete without a touch of irony and that comes with ‘Your Early Stuff’ and ‘Ego Music’. “You’ve been around but you don’t look too rough and I still quite like some of your early stuff” announces the former, while the latter sends up the lot of the seriously up-himself musician. Tennant deadpans: “I see myself as a building, my mind is the office where the work gets done…there’s a real purity to my work, a childish innocence but I’m also smart and sophisticated”; all very amusing. Also amusing but for perhaps the wrong reasons is ‘Hold On’ which sounds like it was written for Disney! But it all lifts again on ‘Memory Of The Future’ with its rousing anthemic chorus and old fashioned synths in the manner of ‘All Over The World’. The soulful ‘Give It A Go’ takes its lead from the RAMSEY LEWIS instrumental ‘Wade In The Water’ but to close, there’s the brilliantly titled ‘Requiem in Denim & Leopardskin’. Adding latin percussion and LOVE UNLIMITED styled loveboat backing, it provides possibly the album’s highlight. It’s like a cross between ‘Being Boring’ and ‘Liberation’. The lyric “This is our last chance for goodbye, let the music begin…” could have a veiled message. The advancing years may have made PET SHOP BOYS less club friendly than the past but thank god they haven’t gone dubstep or anything horrific like that. At least with the chilled down atmosphere, they’re acting their age. While ‘Elysium’ is maybe not the most exciting thing around at the moment, Messrs Tennant and Lowe have done their bit for the cultural revolution and for that, they deserve the utmost respect.